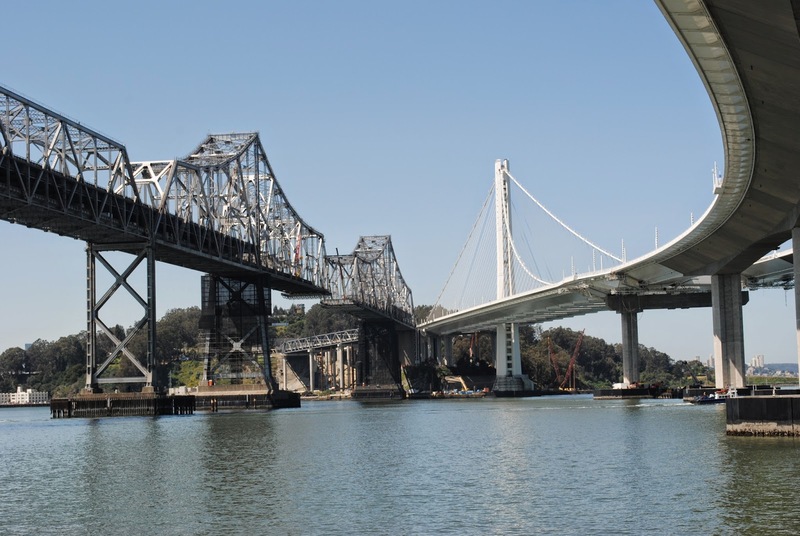 We've visited the signature span on the new East Bay Bridge on several occasions. Now that all the work has been (almost) completed, the effort is being directed at removing the old truss bridge. Everyone was relieved when they cut the cantilever sections apart and nothing collapsed. My friend Pat Hipley (who is in charge of instrumenting the new bridge) took this photo while working on the bridge last week. 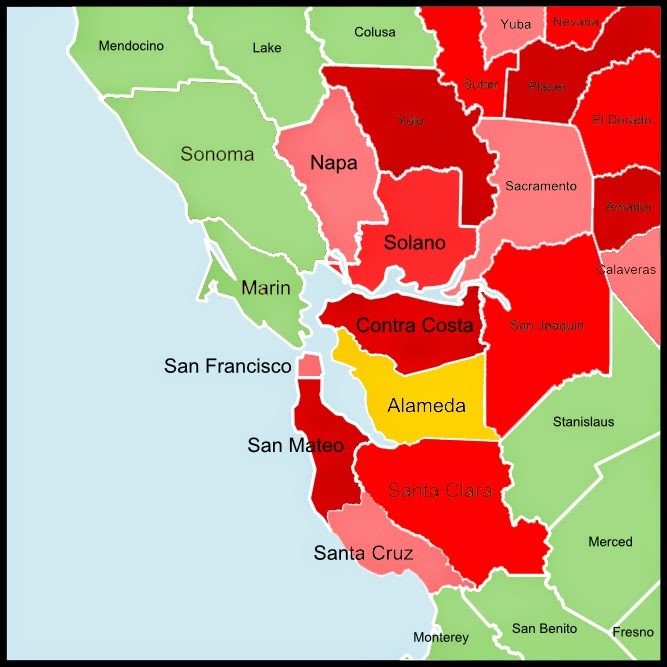 We are going to spend the next few weeks in Alameda County, which has a variety of different bridges reflecting the diverse populations in Berkeley, Oakland, Alameda Island, Livermore, etc. Alameda County, California Bridges: East Bay Bridge across San Francisco Bay by Mark Yashinsky is licensed under a Creative Commons Attribution-NonCommercial-NoDerivatives 4.0 International License.